Many tales of adventure begin with chaos. 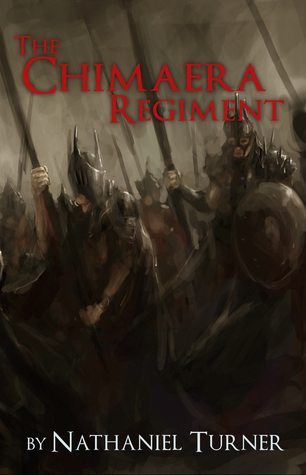 There is always something that spurs action onward and The Chimera Regiment by Nathaniel Turner is no exception. Of course, there would be no story without chaos. Our story begins with a wizened man telling an unidentified youth a tale. There is no conception as to how long ago the events have occurred, but it draws the reader in. We meet Hector, his friend and confident Caradoc and a host of other players. There is an air of mystery surrounding The Guardians who are not creatures of our world. Before he knows it, Hector, the boy who can’t seem to do anything right, sets off on a world-altering journey. On the way he will mature, grieve and overcome the fate that has been so carefully laid out for him. With an elegant voice Turner will take us on a journey with Hector as he climbs towards his destiny. Turner begins every chapter with careful details on time and date. He has created a complete world and the universe-building that happens in the first few chapters of the book are carefully laid out in such a way that they do not bog the reader down. Instead of reading endless pages of text as an entire universe is explained, Turner cleverly inserts important pieces throughout the story. This makes for an easy read and allows the reader to almost subconsciously learn about the history and environment of the world within the novel. Our protagonist is young for this world, approximately fifteen, when he sets out on his journey. He is the ‘chosen one’, the one who will bring peace to the world. As a young adult who has already lost a parent this is a heavy task. He has yet to completely define himself as a person which may be for the best. Hector is much like any other teenager: falling in love, short-tempered and trying desperately to find out where he belongs in society. He wants what most teenagers want no matter what world they live in: he wants an identity that makes him satisfied. As he undertakes the journey we get to watch him grow as a person. He will learn to let go of certain behaviours and he will learn to adopt others. He will learn the true horrors of the adult world and he will learn his place in it. The prologue and epilogue assist in putting the entire story into perspective and tell us where it fits in the ‘today’. These two extra parts set the tone and also bring about a satisfying conclusion that the final chapter wouldn’t have been able to do on its own. It eases us into the story and out of the story in such a delicate way. Nathaniel Turner does well in capturing the audience’s attention in The Chimera Regiment. This fantastical adventure does not feel drawn out, bloated or overwhelming. 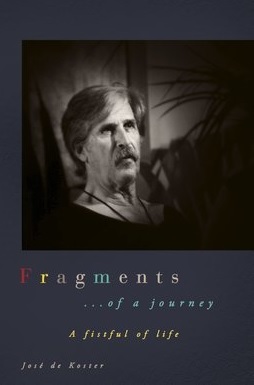 It does well as a stand-alone novel but would also work quite nicely as the introduction to a series. Readers looking for adventure won’t be lead astray by this story. Posted on January 26, 2017, in Book Reviews, Five Stars and tagged action, adventure, amazon, amazon books, author, book, book review, books, chaos, ebook, ebooks, fairy tales, fantasy, fantasy book review, fiction, fighting, folk tales, goodreads, kindle, literature, magic, mystery, mythology, nathaniel turner, novel, publishing, reading, review, reviews, sci fi, science ficiton, science fiction, science fiction book review, stories, the chimaera regiment, war, writing. Bookmark the permalink. Leave a comment.